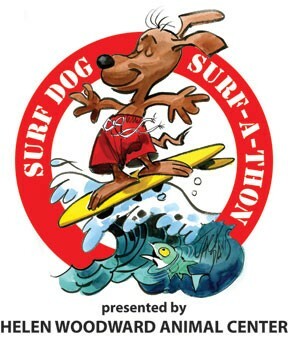 The Surf Dog Surf-a-Thon has been POSTPONED from September 11 to September 25. Due to power outage and sewage spill at Del Mar Beach, and for the safety of all our human and canine participants, the event on Sunday has been cancelled. We have rescheduled the event to Sunday, September 25, with further details to follow. Please contact the Center if you have any questions. Thank you. Surf Dog Surf-A-Thon is a fun event that raises funds for orphaned animals at the Helen Woodward Animal Center. 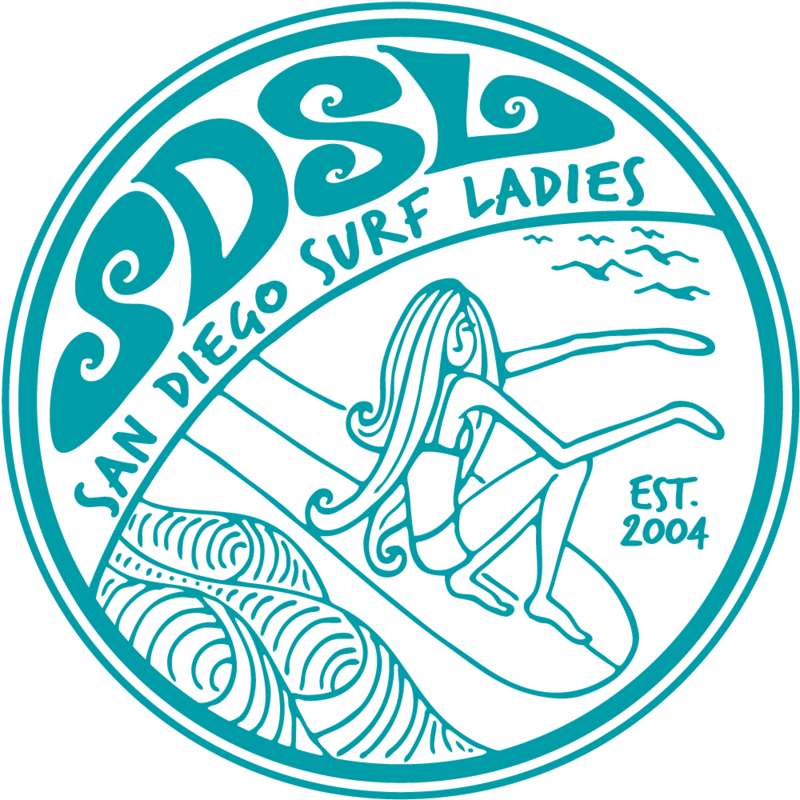 SDSL has participated in the past surfing and raising funds. We can surf on our own in costumes and/or with our dogs. They also have surf dog clinics for Fido. Several members plan to volunteer as spotters in the water from 7:00 - 11:00 am (see below). We can also surf as a team in costumes or with our dogs. Human Surfing Contest starts at 11:20, which means we can volunteer and surf. Dog and Owner heats are 20 minutes based on the dogs weight class. "Doo the Dah Human Surfing Costume Contest" is for surfers on their own. They pledge to catch a set number of waves (in a half hour time frame) and solicit friends and neighbors for financial support on behalf of their efforts. DIRECTIONS: Exit Via de la Valle and head West. Parking is on the street or in the lot. Bring cash just in case. Walk South on the Coast highway to the beach access. To participate, please download, complete and fax to HWAC Surf Dog 2011 Sign Up Form.pdf. Choose Surf Dog Spotters (you will be in the water) 1st Shift: 7:00 a.m. - 11:00 a.m.
WEBSITE: Event details are in the link below.